Sterling was reportedly fired from the CIA in 2002–and indicted for espionage in 2011. Sterling could possibly face dozens of years in prison. He is due to be sentenced in April. Matt Apuzzo (New York Times) said that Sterling’s conviction was “a significant victory for the Obama administration, which has conducted an unprecedented crackdown on officials who speak to journalists about security matters without the administration’s approval.” Risen refused to identify his sources. In the process, the CIA is airing soiled threads of its dirty laundry as never before in open court. The agency seems virtually obsessed with trying to refute the negative portrayal of Operation Merlin — the CIA’s effort 15 years ago to provide a flawed nuclear weapon design to Iran — in James Risen’s 2006 book, State of War. “More closely held than any other program,” Walter C, a physicist who worked on the program described. “More closely held,” David Shedd, currently head of the Defense Intelligence Agency and head of Counterproliferation Operations until just after the Merlin op. Of course, Bob S’ admission that — when FBI showed him a list, in 2003, of 90 people cleared into the program, he said it was incomplete — suggests all those claims are overstated. That means from at least April 15, 1998 (see Exhibit 8, though Exhibit 16 suggests the effort started in November 1997), when Merlin started trying to make contact with Iranians who might be interested in a Russian nuclear scientist, until January 1999, Merlin’s contacts with Iran were completely accessible to his wife (who, given the evidence — as opposed to the sworn claims — presented in the trial, almost certainly knew anyway) and his kids (who may not have). Last fall, Solomon and Wheeler co-authored an article for The Nation titled The Government War Against Reporter James Risen. The article’s subtitle–The vendetta against him and whistleblower Jeffrey Sterling reflects an antidemocratic goal: the uninformed consent of the governed. 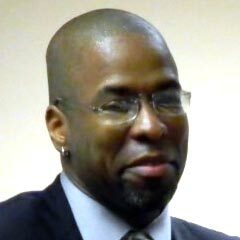 Solomon and Wheeler noted that Jeffrey Sterling was usually “cast as a disgruntled ex-employee in trouble for allegedly spilling the classified beans” in news reports. The false Iraq-WMD case provided the key rationale for a war that has spread devastation not only across Iraq but has prompted terrorism and other violence throughout the Middle East and into Europe. “Operation Merlin” – hatched during the Clinton administration – was part of a similar effort to show that Iran was engaged in an active program for building a nuclear bomb and thus would have interest in the flawed schematics that the CIA was peddling. Yet, in the Sterling case, federal prosecutors seem to want to have it both ways. 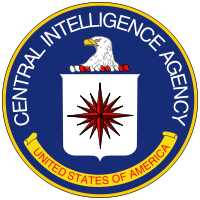 They want to broaden the case to burnish the CIA’s reputation regarding its covert-op skills but then to narrow the case if defense attorneys try to show the jury the broader context in which the “Merlin” disclosures were made in 2006 – how President George W. Bush’s administration was trying to build a case for war with Iran over its nuclear program much as it did over Iraq’s non-existent WMDs in 2002-2003. Along the way, the CIA is eager to use the trial as much as possible for image damage control, trying to ascend high ground that has eroded in part due to high-quality journalistic accounts of the sort that Risen provided in his State of War reporting on Operation Merlin. I wonder what’s going to happen to former CIA Director General David Petraeus. Do think he’ll also be prosecuted for disclosing classified information to his lover Paula Broadwell? This entry was posted in American History, CIA, Countries, Democracy, DOJ, FBI, Foreign Policy, Free Speech, George W. Bush, Government, Government Propaganda, Hypocrisy, Imperialism, Iran, Justice, Media, Political Science, Politics, Presidents, Prison, Propaganda, United States, US Military, War, War on "Terror", World History and tagged "State of War", CIA, CIA Director John Brennan, Government Whistleblowers, Iran, Iran's Nuclear Program, James Risen, Jeffery Sterling, Operation Merlin. Bookmark the permalink. The New York Times, citing anonymous “officials,” reported that prosecutors have recommended that the retired Army general face charges based on the discovery of classified information on his former paramour’s computer. The FBI found this information when they were investigating her for cyberstalking back in December of 2012. Petraeus has been quoted as denying that he provided classified information to Broadwell. Broadwell also previously has denied getting classified documents from Petraeus. Petraeus served as Director of the Central Intelligence Agency from September 6, 2011, until his resignation on November 9, 2012. The nature of the classified material has not been released. Was it DoD stuff or CIA stuff? Well, Senator, considering the unprecedented crackdown on government officials who reveal secrets to journalists and that Petraeus’ mistress was a journalist and he was a government official … one would expect the Justice Department to come down very hard on Petraeus … right? It’s a tragedy that our government goes after people like Sterling and John Kiriakou–and not the real villains and torturers, isn’t it? Yes it is. Seems like no one gets prosecuted but the whistleblowers. I’ve heard those psychologists that developed the torture program called “patriots and heroes” by the Republican spokesmouthes at FOX. At least Democrats got the Torture Report published, but to what end? Well, you know, Petraeus just made a mistake. I mean, he’s just, you know, kinda dumb and didn’t mean anything by it. Yada, yada. Now the last time I checked, there was no IQ test for entering the criminal class … most of them are kinda dumb and they tend to make mistakes which is how they get caught. Just like Petraeus. Besides the charges on Sterling, the choice of venue for the trial and the jury composition, along with the prosecution claiming that it couldn’t really reveal how it was hurt for fear of further damage to the CIA- which made it so no one could really refute the arguments made- all of it made sure that a conviction was unavoidable. Between the many “journalists” who took the blue pill, and the few left to take the red pill, the government and its allies are making sure that whatever it is we know is shaped and shared through them. This is making it even more important to stand up on behalf of those who are still fighting the good fight at the cost of their freedom. Examining documents entered as evidence in the prosecution of Sterling, a former CIA employee, journalists have found multiple indictors that after Iran, Iraq and other countries might have been given flawed nuclear bomb plans. Experts think the flaws could have easily been reverse-engineered to create a functioning nuclear device. Between giving “rogue” nations nuclear weapons plans and Mexican drug gangs automatic weapons, we are surely flying by the seat of our pants. One more interesting point about Sterling that someone brought up, is that his only recourse against racial discrimination is to file for racial discrimination, yet filing for racial discrimination ensures that he becomes scrutinized, targeted and suspected by his employer, the CIA. Pretty tough choice to make. For the first time in 30 years, a case has gone to trial in a civilian court under the Espionage Act with charges that the defendant gave classified information to news media. Not far from the CIA headquarters in Northern Virginia, legal jargon is flying around the courtroom, but the law has very little to do with this case. Top officials in the U.S. government leak classified information all the time, without punishment. But Jeffrey Sterling was not a top official. He’s a former CIA officer, charged with giving classified information to journalist James Risen about a CIA operation that provided Iran with flawed nuclear weapon blueprints — information that appeared in Risen’s 2006 book State of War. Hearing the testimony from CIA operatives, it’s clear that the agency is extremely eager to make an example of Sterling. Despite all the legalisms, the overarching reality is that the case against Sterling is scarcely legal — it is cravenly political. If it were otherwise, the last two CIA directors to leave their posts — General David Petraeus and Leon Panetta — would be going through the same kind of ordeal that Sterling has been enduring. There’s hefty evidence that both Petraeus and Panetta leaked classified information while running the agency. But these days they’re busy getting rich, not in danger of imprisonment for the rest of their lives. Far from rejecting the authoritarian bent of his presidential predecessor, Obama has simply adjusted it, adding his own personal touches, most notably an enthusiasm for criminally prosecuting the kinds of leaks that are essential to a free press. The Sterling case – especially in light of Obama’s complicity in the cover-up of torture during the Bush administration – sends a clear message to people in government service: You won’t get in trouble as long as you do what you’re told (even torture people). But if you talk to a reporter and tell him something we want kept secret, we will spare no effort to destroy you. Instead, as author Scott Horton explained to me a few weeks ago, Obama’s thinking on these issues was swayed by John Brennan, the former senior adviser he eventually named CIA director. And for Brennan and his ilk, secrecy is a core value — partly for legitimate national security reasons and partly as an impregnable shield against embarrassment and accountability. Meanwhile, former CIA officer John Kiriakou is in prison, serving the last days of his over two-year sentence not for torturing anyone, but for revealing information on torture to a reporter. Stephen Kim, a former State Department official who pled guilty to leaking classified information to a Fox News reporter, faces 13 months in prison. All of this has been happening during a two-decade-long shift in the cultural norms of the U.S. government, whereby reporters are now routinely blocked from communicating with staff unless they are tracked and/or monitored by public relations controllers. And government officials are being told very clearly that their personal right to free speech does not extend to their work life, nowhere more clearly than in the intelligence community, where a new directive forbids employees from discussing “intelligence-related information” with a reporter unless they have specific authorization to do so, even if it’s unclassified. I call them “Sterling and John Kiriakou” that is.Lid Keepers.